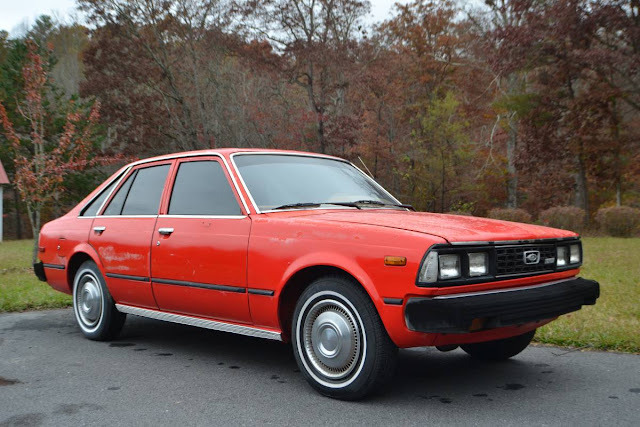 This next car comes as a tip from Matt C who writes: Here's another oddball Japanese survivor. Looks like the engine is some sort of 22R relative, backed by a manual transmission. So these things ought to run until the body rusts apart - and in Georgia, even that takes a pretty long time. Interior is in surprisingly good shape, but the paint is not doing so well. 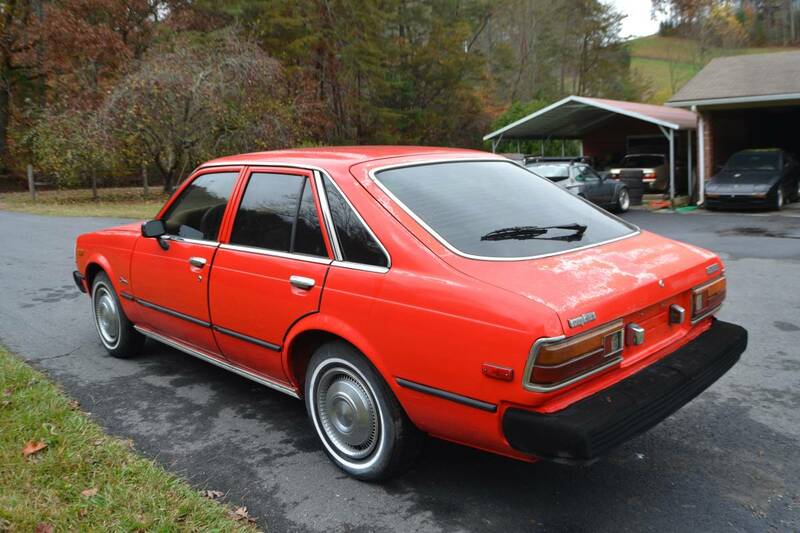 Find this 1980 Toyota Corona offered for $2500 in Blairsville, GA via craigslist. 1980 Toyota Corona for sale - Runs and drives! Clean title! Overall in good condition. 5-speed manual trans. This is the LE "Luxury Edition" liftback version. Runs and drives, clutch and brakes work good, shifts perfect. No rust that I can find. Biggest needs: paint job (was repainted red a few years ago by previous owner and it's starting to flake off). A basic carburetor adjustment tuneup (runs well but carb has a "dead spot" at 3/4 throttle) should be an easy fix. The blower motor does not work, so no AC or heat currently, and the driver side seatbelt is frayed and should be replaced. This looks like it should be an AMC product. If it was still the original poop color as you can see under the hood (hello overspray), it would really look the part. I was thinking it was a little expensive for what it is, but then I saw the 'Luxury Edition' badge on the back. My old nemesis, the 20R! Anyone else notice the 3 944s in the background?